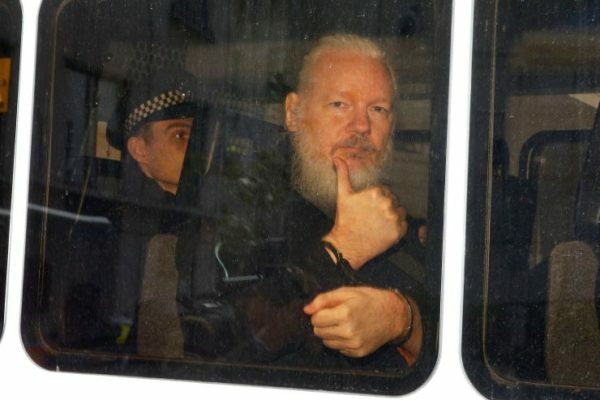 Assange’s attorney confirmed on Thursday that the 47-year-old WikiLeaks founder was arrested on a U.S. extradition request as well as for breaching U.K. bail conditions, The Associated Press reported. Assange had refused to leave the Ecuadorian Embassy and claimed he would be extradited to the U.S. for questioning over WikiLeaks’ activities. The activist organization became renowned for publishing secret information and news leaks that on some occasions caused embarrassment for governments and public officials. Assange’s relationship with Ecuador started to deteriorate earlier this month after the country accused him of leaking personal information about President Lenin Moreno. Moreno accused WikiLeaks of intercepting phone calls and private conversations as well as “photos of my bedroom, what I eat, and how my wife and daughters and friends dance,” AP reported earlier this month. “Today, I announce that the discourteous and aggressive behavior of Mr. Julian Assange, the hostile and threatening declarations of its allied organization, against Ecuador, and especially the transgression of international treaties, have led the situation to a point where the asylum of Mr Assange is unsustainable and no longer viable,” he said in a video statement posted on Twitter. The Kremlin spokesperson Dmitry Peskov said Moscow hopes that Assange’s rights will not be violated, according to Reuters.